Two people were standing in front of the Post Office downtown Wednesday, a man and a woman. 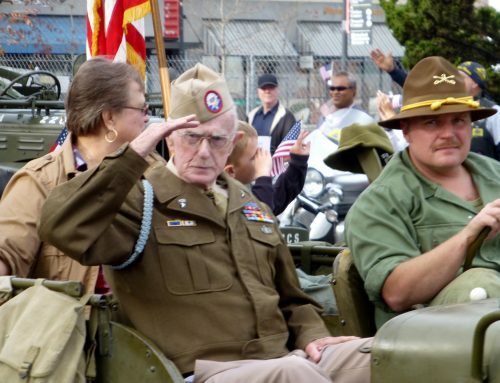 They were well-dressed and for all outward appearances, they looked like most people downtown Wednesday. But in one way, they were not like most people downtown that day. Unlike most, this man and woman were filled with hate for President Obama. They brought to the Post Office several larger-than-life posters of the President. 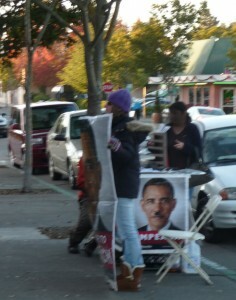 The posters were portraits of Obama that had Hitler-like mustaches on them. The two people were there that day to let the world know they believe Obama’s policies are as evil as Hitler’s. When I first saw them, I shook my head and walked past them into the Post Office; I had no intention of speaking with them. But as I thought about it, I decided that I had to know what Obama has done that could possibly compare to the atrocities that Hitler committed. I asked the woman if she knew that Hitler had started a war that killed millions of people. She replied that Obama’s policies are already killing people. I reminded her that Hitler sent six million Jewish people to their deaths in concentration camps and gas chambers. She replied that Obama is responsible for the cholera deaths in Haiti. Talking with her was like trying to reason with a recorded message. I can understand that someone would be unhappy with Obama’s health care bill or with his handling of the economy. I can understand that someone’s fondest dream is to see that Obama is a one-term president. But I can’t understand what inner processes could inspire such hatred. I can’t understand what tectonic forces deep inside could be strong enough to twist her view of reality so violently away from the truth.